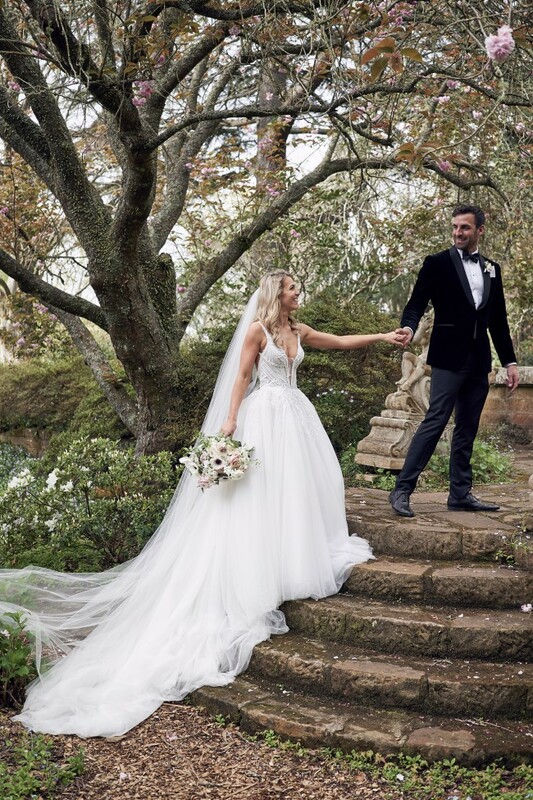 This romantic wedding dress has been worn once, 13th October 2018. The gown has hand appliqued french lace and bead work, with the skirt and train consisting of a gorgeous silk tulle. It has a beautiful lower back and full length train, with silk covered buttons that run down the length of the back. I'm in love with this wedding dress and felt like a true princess. I received enormous amounts of compliments and felt completely stunning wearing it. I'm really sad to be selling it but know it will give another bride the chance to feel completely incredible. The dress comes with tulle underskirt, full length.